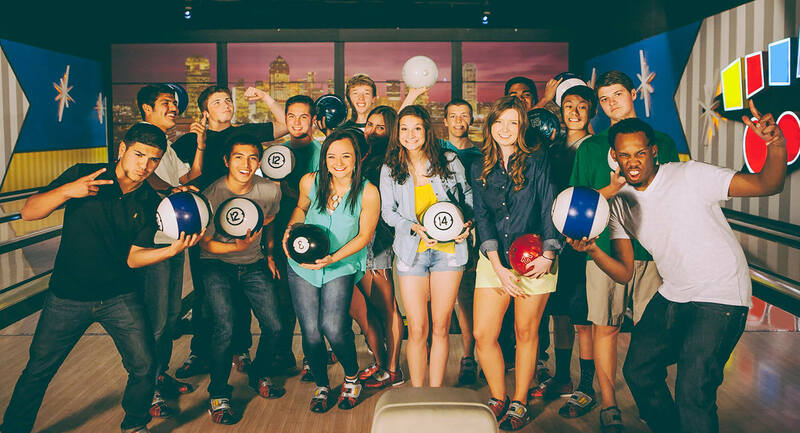 Royal Pin Entertainment offers four modern bowling and entertainment centers located throughout the Greater Indianapolis area. 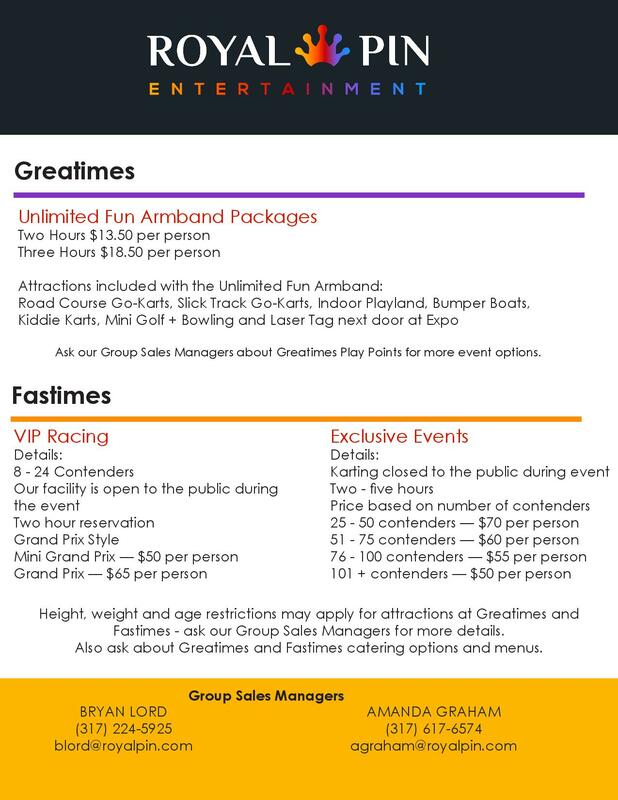 Additionally, we have Greatimes Family Fun Park and Fastimes Indoor Karting to offer our guests even more unique entertainment and fun with family and friends. All our locations are ready to host your next event, big or small. 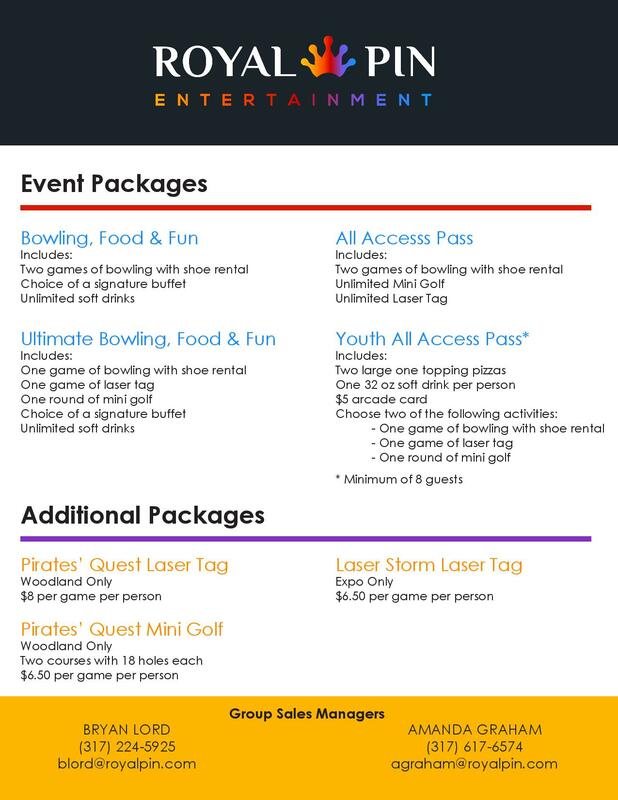 We have many different packages and customizable options to meet your needs and budget. 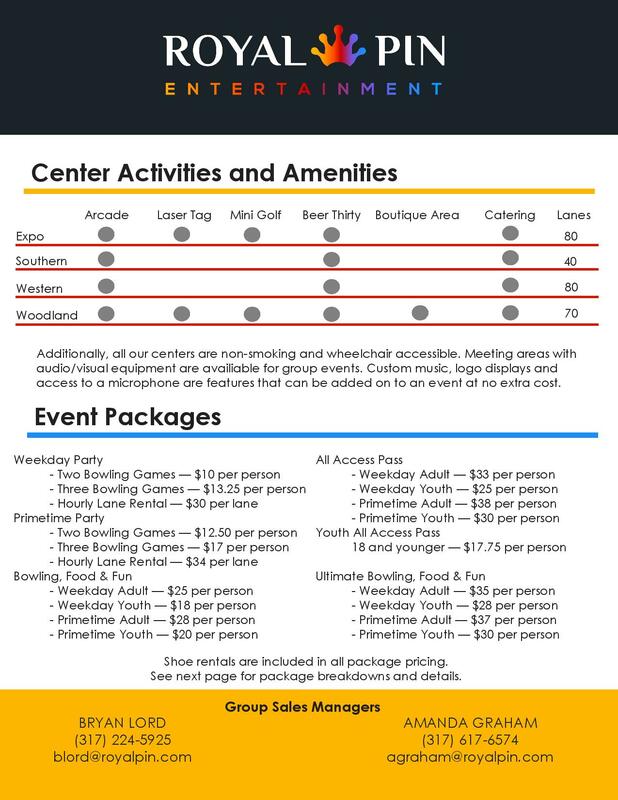 Fundraisers, Corporate Outings, Team Building Days, Family Reunions, Youth Camps, Bachelor/Bachelorette Parties — we can host it all! 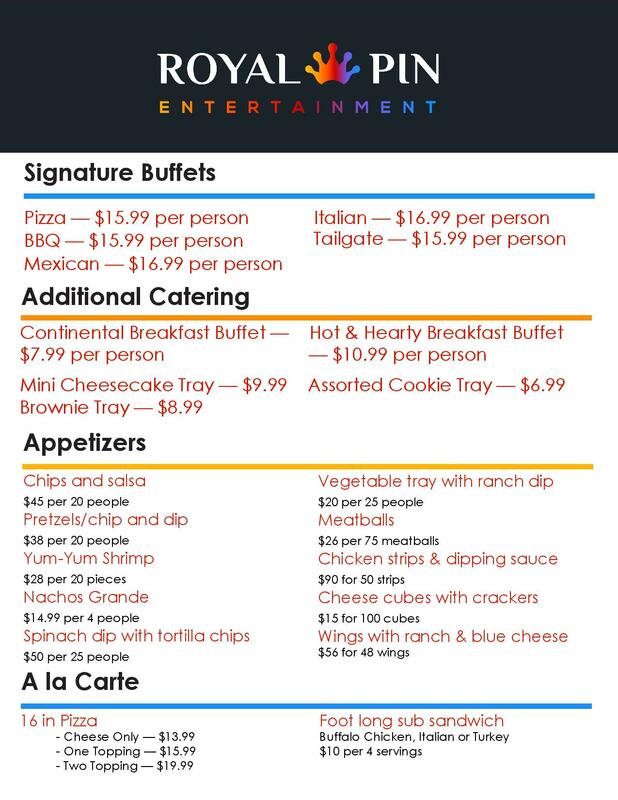 All our locations offer in-house catering and are availible for exclusive events and buy outs. Contact our Group Sales Managers to book your event with us today. 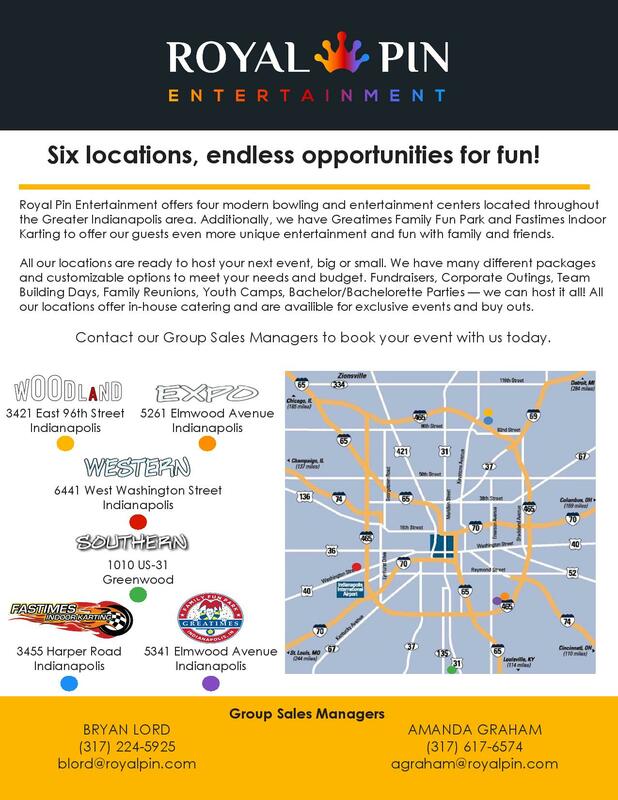 Please explore our Group Events Sales Guide below. Royal Pin group events are for parties with 12 or more guests. Events that include catering are for groups with 15 guests or more. Royal Pin group events are for parties with 12 or more guests. Events that include catering are for groups with 15 guests or more. Please specify if your group will require catering.